This is a Solo type model. Capacity of this oven is 17 Liters. 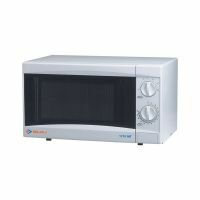 There are 5 Power Levels, so that you can adjust the power of microwaves as per your requirement. To Recieve updates and possible rewards for Bajaj 1701 MT DLX please sign in. To Recieve updates and possible rewards for Microwave please sign in.